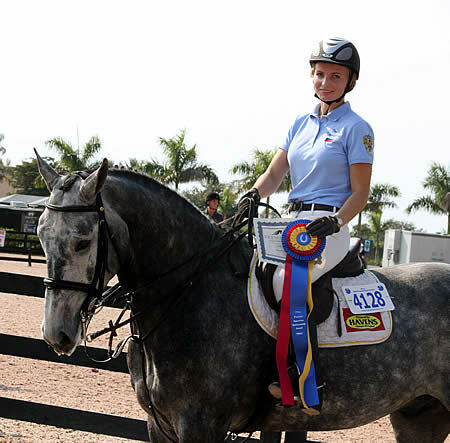 Wellington, FL (January 26, 2012) – Russian Olympian Ljubov Kochetova showed off her upbeat attitude while competing a five-year-old Westphalian gelding named Corrado during the first week of the 2012 Winter Equestrian Festival, and her positive attitude helped her take home the Premier Equestrian Sportsmanship Award. Sponsored by Premier Equestrian, LLC, a leading supplier of dressage arenas, horse jumps, arena footing and stable accessories, the Premier Sportsmanship Award is presented to a barn or rider who displays a high level of sportsmanship during a show and the winner receives a gift certificate for $100 worth of Premier products. Kochetova, who was born in St. Petersburg, Russia, competed in the 2008 Olympics aboard Ilion Kilen. She said she currently has her sights set on the 2012 Olympics in London. “We are still in the middle of the race to see who will compete in the Olympics,” she said. 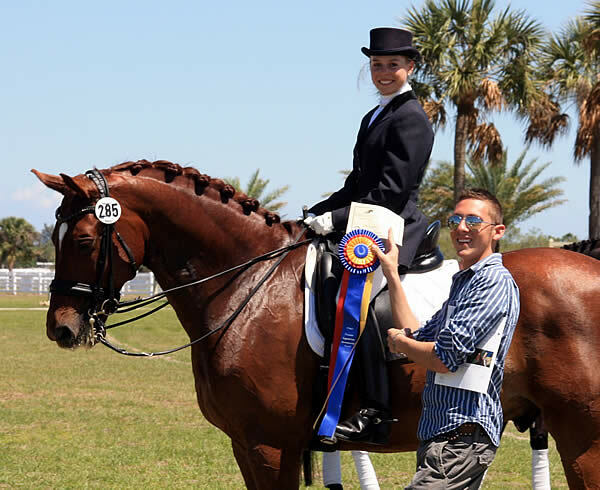 Loxahatchee, FL (April 8, 2011) – Wellington rider Stephanie Frederick had a smile on her face while competing Valentino Flemming at the International Horse Sport Dressage Show, and that smile helped Frederick ride away with the Premier Equestrian Sportsmanship Award. 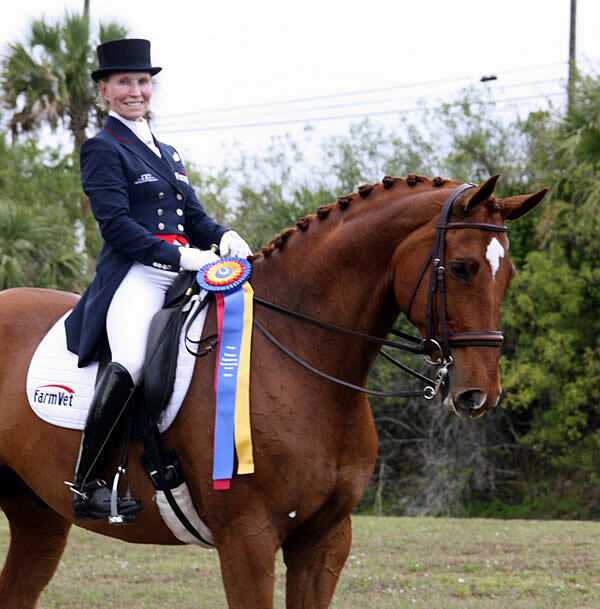 Sponsored by Premier Equestrian, a leading supplier of dressage arenas, horse jumps, arena footing and stable accessories, the Premier Sportsmanship Award is awarded to a rider who displays a high level of sportsmanship during a show. Frederick was thrilled to win the Premier Sportsmanship Award and shared her secret to being a good sport. “You need to stick with it and be positive. If you want it badly enough you need to keep working hard at it and eventually you will get there,” Frederick said. 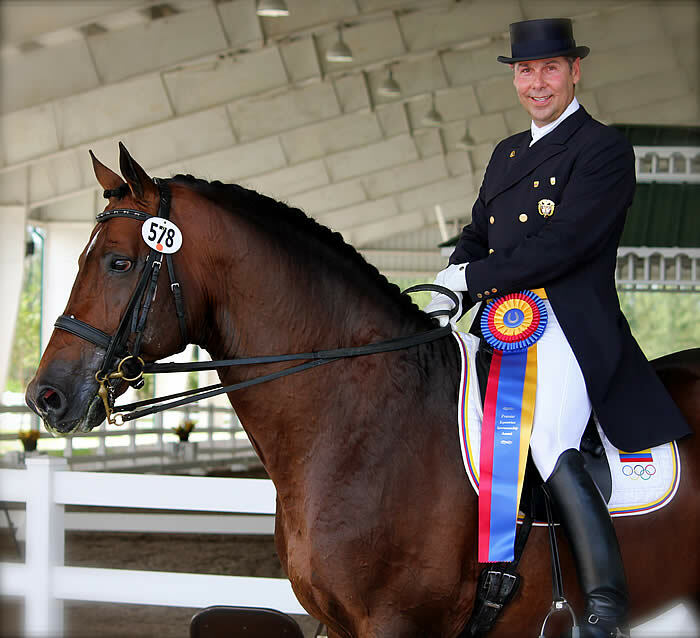 Frederick, who was awarded a pair of German-designed Roeckl gloves from Premier Equestrian for winning the Sportsmanship Award, added that having her parents attend the show also put a smile on her face. “My parents, Jim and Cindy Frederick, are my biggest supporters,” she said.